The Perfect Rest™ Pillow features dual-density fiber support. 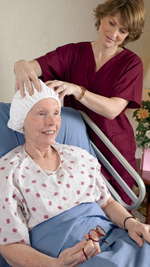 Extra firm roll supports the neck and shoulders while a soft cushioning area supports the head. This combination makes for a good night's rest. This bed pillow measures 23 in x 16 in. Can be used by back and side sleepers. 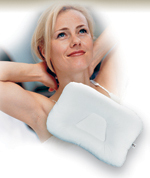 This support pillow is filled with cool and comfortable polyester fiber Corefill®. This product was added to our catalog on Sunday 13 February, 2005.